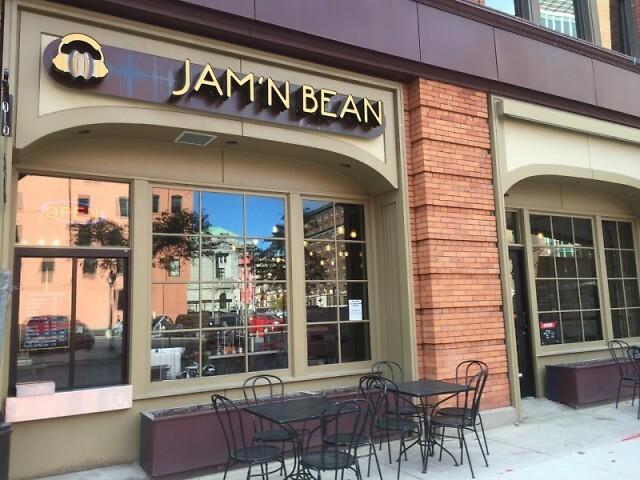 Jam N Bean (161 Ottawa Ave NW) has only been open a few weeks, but it is already one of two locations in the Grand Rapids area, an ArtPrize venue, and a leader in new brewing methods. The shop on Ottawa opened on September 1, and it currently has the only Steampunk brewing machine in the area. The coffee shop moved into the Waters Building, a mixed use facility that hosts commercial office space and will be adding a hotel and apartment complex. The shop is on the ground level, and it is near many businesses, as well as the GRAM and other cultural icons.